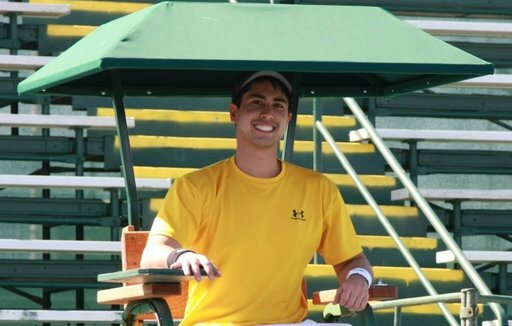 I'm Mehrban, and I created Tennis Files to help you improve your tennis game. I share your passion for tennis, and I want to provide you with the highest-quality content to help you become the best player you can be. Whether you are just starting to learn the game, or have been playing all your life, you have come to the right place to help you get better at playing tennis. Tennis is not easy: one has to continually improve technically, physically, and mentally to be successful. This is where Tennis Files comes in handy. In order to get better at tennis, you need to stay motivated and set goals. You will only reach your goals if you dedicate yourself to continual improvement. I know that I can help you keep improving your tennis game for two very important reasons. (3) I love seeing people improve their tennis games. I am committed to finding out the best strategies, tools, and information that will help us both reach our tennis potential. And it would be an honor to have you come along with me on our tennis journey. As I keep learning new information and writing more posts, I will add the material to the sections below. The articles below are my most read and favorited articles from my fans. I encourage you to check out these posts simply because I have gotten a lot of great feedback and tons of shares for these articles. On The Tennis Files Podcast, I interview top tennis pros on the ATP/WTA tour, world-class coaches, and world-renowned experts to help you improve your tennis game. I've interviewed experts such as 17-time Grand Slam Champion Gigi Fernandez, former ATP world #4 James Blake, top fitness expert Dr. Mark Kovacs, ATP Pro and top American Denis Kudla, and many more! I highly encourage you to check out the podcast! Just click the link below or the podcast player at the bottom of this page. And don't forget to subscribe to The Tennis Files Podcast on iTunes, Stitcher, Spotify, or any podcast app that you use to listen to the show! If you want to receive exclusive tennis tips and strategies and get a more personal glimpse of my tennis adventures, I highly encourage you to sign up for my newsletter below. It is totally free, and allows me to send you helpful tennis content straight to your inbox. Type your email in the form below to join! I want to thank everybody that has contributed to my tennis knowledge and everyone who reads my posts. You're the ones who motivate me to keep putting out the best tennis content. If you enjoy Tennis Files, check out my Facebook page and my Youtube page for more tennis posts and content.